This is a touchy subject for me. I like to think that I am one of the biggest AC/DC fans ever. Ever since my dad first played me Back In Black when I was like 10 years old, there was no turning back. You have the foundation of the band consisting of Malcolm Young, Cliff Williams, and Phil Rudd. You have the distinctively razor sharp vocal style of Brian Johnson (not to mention his predecessor the late great Bon Scott), and most importantly, you have the brains behind the whole operation and arguably the most symbolic member of AC/DC, lead guitarist Angus Young. This band has been consistently packing out stadiums and writing, recording, and performing some of our generation’s greatest rock anthems. I’d list them all, but there are too many to name. To put it very VERY simply, AC/DC is a band that has truly achieved legendary status. Now then, as of late, the band AC/DC has been dealt an unfortunate hand. To start with, Malcolm Young has tragically passed away as a result of Alzheimer’s disease, Phil Rudd got into some major legal trouble, Brian Johnson developed a hearing problem that sidelined him, and now, Cliff Williams has announced his retirement leaving only Angus Young. You’re probably still perplexed by the headline that you saw. Well, I’m afraid it will most likely be true. Just for the sake of contrast, let’s assume that all members of AC/DC are still together and still touring. And this isn’t to say that singer Brian Johnson isn’t still awesome, but his vocal style is admittedly a very strenuous style of singing. He only sings unfathomably high notes and he has to scream to reach them. And then there’s the prospect of touring. Touring, especially in terms of national or even international, can be a very strenuous thing to embark on especially when you’re as old as these guys are. Black Sabbath guitarist Tony Iommi often says that the physical hardships of touring are simply some of the most difficult things he’s ever had to do in his entire career. Now look, I get it. 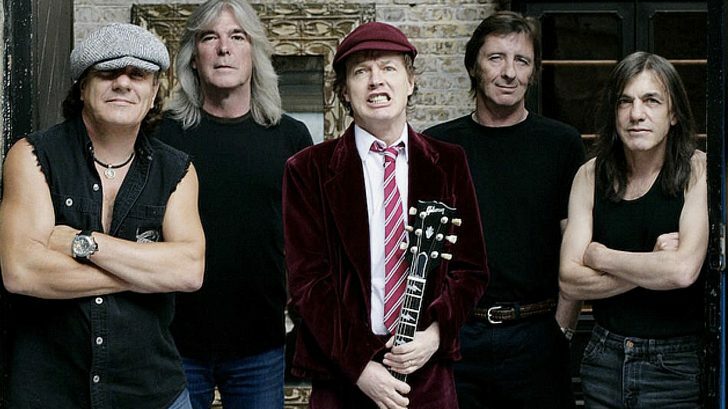 The boys in AC/DC make a LOT of money per tour, but still, this legendary band would be wise not to do anything detrimental to their health, let alone tour. But going back to the obvious – the obvious being all the sudden departures. Sure, a lot of people would agree that Angus Young IS in fact AC/DC. Then again, he’s now the only member left. Even if Angus Young managed to find four other guys that sounded exactly like the band, it simply just wouldn’t be the same. In AC/DC’s most recent tour Brian Johnson was sidelined and was replaced by Axl Rose, and as good of a job Axl Rose did, many fan rejected him simply because he isn’t Brian Johnson. So what am I trying to get at here? Even if AC/DC decided to continue on, it’s hard to even call them “AC/DC“. You’d just have to call them “Angus Young & the AC/DC Tribute Band“.